Being the instrument of our work and our brand image, we should protect and cherish them daily. It's a soothing, moisturizing and nourishing cream, with non-greasy texture which penetrates rapidly and resists to water. 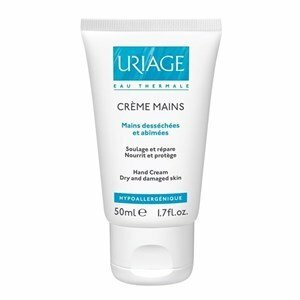 Composition: Uriage thermal water, Shea butter and Glycerin. Apply in the hands when necessary.